Today’s article comes from: Jane Grates (Bio) from Sleeklens.com. It is essential, and fun, to keep up-to-date with the latest trends. 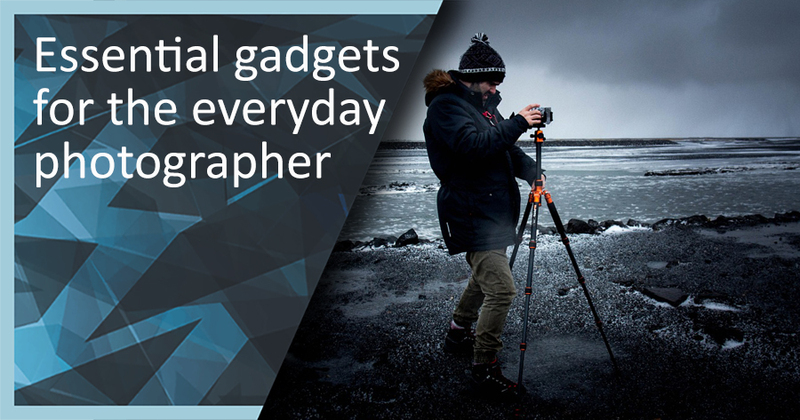 Gadgets occupy an important niche in our world of photography. In this article I look at the essential gadgets that are must-haves for the serious photographer. First, the basics. Lots of hardware to improve your performance as a photographer is wasted if you do not have enough space to store pictures. The storage issue can become a nuisance. Beat the problem and have many SD cards in order to prevent lack of drive space. This is particularly important for photographers who travel a lot. Essential gadgets – The SD card holder. Buying an SD card holder is a smart solution to the space problem. You can split your work over different SD cards to create a well organized library. Not only are you placing your work in a safe place, you are creating smart categories too. A classic, the tripod is vital when dealing with heavy lenses or long exposure times. Night time photography is almost impossible without a tripod. The longer exposures are needed to capture low light levels. A quality tripod is one of those essential gadgets we should all have. Look for one that suits the needs of your photo interests and for height and transportability. Higher quality tripods tend to be heavier, but this means they are less likely to blow over or vibrate in windy conditions. A quality tripod is one of those essential gadgets we should all have. Think how you will use your tripod. This will determine the price range. If you do your work mainly in a studio, or you are just starting your business, you can buy a simple model. If, on the other hand, you are a skilled photographer, you will want to buy a pricier, more adaptable one to last longer and endure the diverse conditions you may come across. You can create “filter effects” with post-production ‘presets’ in editing software. But you can skip a step by using on-camera filters. This will save incredible amounts of time in processing. Filters can help you avoid burned out images from strong sun if you use Polarized filters. The camera lens will react the way your eyes do when you use polarized sunglasses. 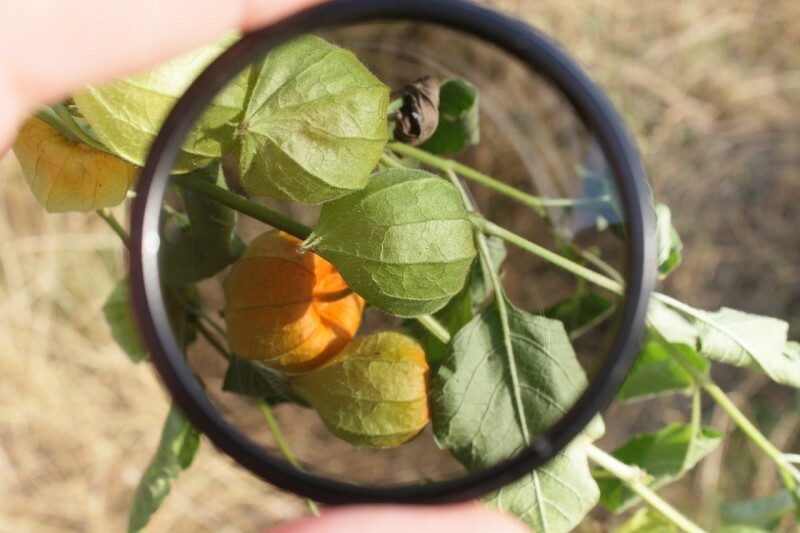 Polarising filters help you deal with strong sunlight – one of the more essential gadgets. Remember to buy a lens filter that fits your lens size. There are companion gadgets for filters. Step-up/down rings serve to create a perfect fit on lenses with non-standard formats or sizes. The latter are commonly seen on bridge cameras. For long exposure times, or for portrait pictures including the photographer in the scene, remote shutter devices are handy tools. 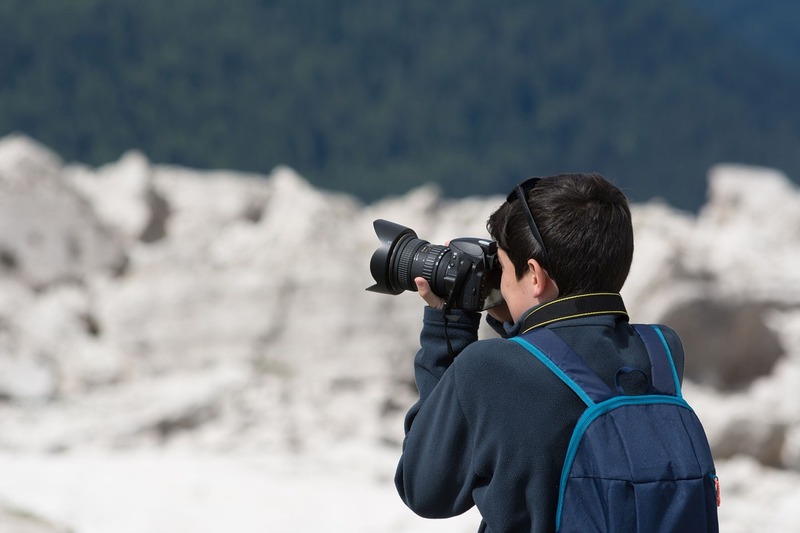 Simply grab your remote shutter release, place your camera on the tripod and let the action flow. Remote shutter release – one of the essential gadgets. Another remote shutter choice is a phone app. Not all camera models are supported. Some Canon and Nikon models are compatible with this feature. The apps are cheap, or free, saving some of your money. In fairness the latest remote shutters are not really expensive. 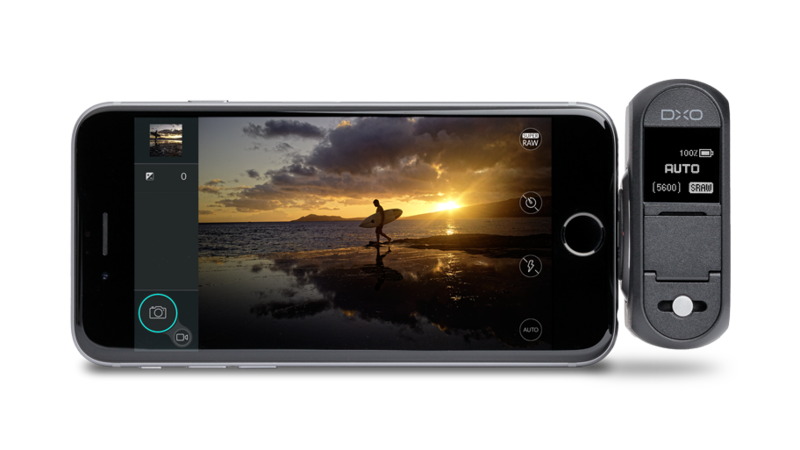 Still, having a phone app will certainly guarantee that you won’t forget your remote shutter release wherever you go! 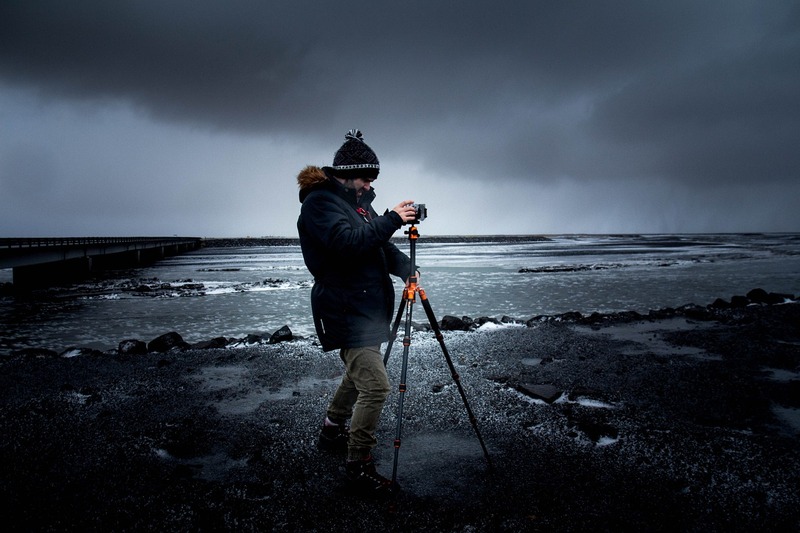 A common problem, as a photographer, is the sudden appearance of bad weather. It’s not good for using your camera! Don’t risk the investment you made in quality kit. Consider carrying a weather-safe case that fits your camera model, lenses and other accessories. Not only are you going to protect your beloved camera, but you can continue your shoot regardless of the conditions. Protect your beloved camera from bad weather – use a camera case. 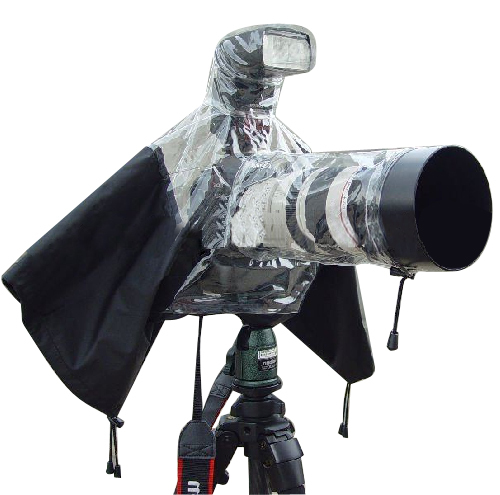 Weather sealed cameras can benefit from this protection too. Water seals deteriorate over time. 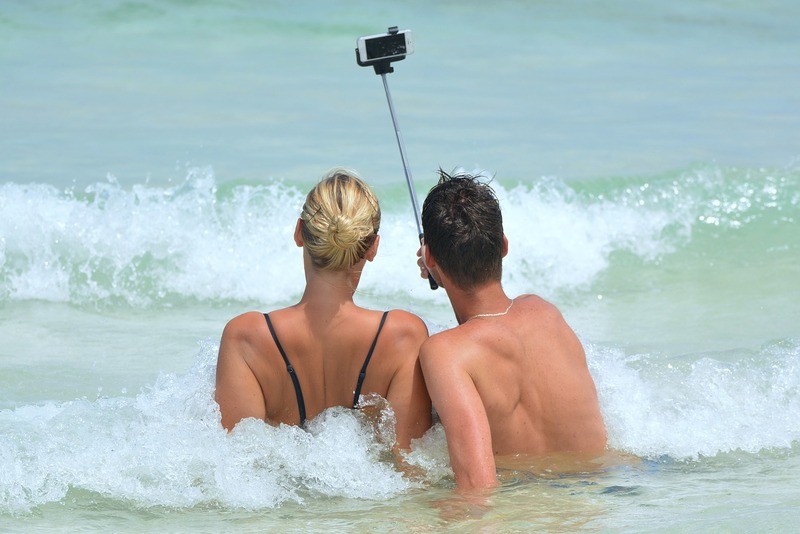 Other attached accessories are not all water proof as well. Don’t risk your device without even thinking about it. If you are a photographer on the go, you probably own a smartphone. Up to date models have a good camera. It can be a limitless source of creativity. However, smartphones are limited compared to modern DSLR cameras. They rarely have full and true manual controls. They lack the proper control of ISO, Aperture and Shutter speed settings. Smartphone add-on lenses open a new dimension for the photographer on the go. A cool way to fix this issue is smartphone lenses. They come in a wide range of prices and with various features. Common base models of add-on smartphone lenses can do things that smartphone camera lenses can’t do. For example, fish-eye effect, macro or telephoto and other effects. More complex models, like the latest Sony QX-10, completely reinvents the smartphone lens concept. It boosts the smartphone with a professional quality sensor packed with manual controls. Even if it seems to be pricey, the result won’t disappoint. Remember, the smartphone is a useful addition to the camera bag in its own right. Check out this post: Using tablets in photography. Like the tripod, photographers backpacks are a common classic. 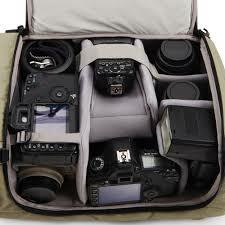 They provide storage for the camera, different lenses, as well as leaving room for other important items. Some are also designed to carry laptops, batteries, and much more. Avoid back packs that are not designed for photography. They can cause equipment damage. Specially designed packs let you carry equipment safely and help you pack efficiently. Buy a good quality photographers bag to protect your equipment. Consider buying a weatherproof backpack regardless of price. Protecting your working equipment is a top priority. Photographic equipment is highly sensitive to poor climate conditions. Most good quality packs come with slip-over water protection. Also, be aware of the maximum weight supported by the backpack. Don’t over load it (or you). Avoid misuse, which will shorten the life expectancy of the product. Protect it from wear, chemicals and dust. You can find countless options for complimenting your photography and workflow. Most will depend on the kinds of photography you decide to focus on. In the end, it is up to you to find the best equipment that will enhance your day-to-day photography. Everyone has their own special “essential gadgets”… What are yours? Here are some more essential gadgets for photographers on Amazon. Check out this Google search on essential gadgets for photographers! This entry was posted in Equipment, Guest Contribution, Opinion, Photography, Starters School and tagged Bags, Filters, SD Card, Smartphone, Tripod. Bookmark the permalink. Damon, really nice summary of some very useful gear! Thanks! Great to hear from you. Glad you like it. Thank you! A great summary of important equipment for photographers. In my opinion the tripod is by far the most important gear in particular for a landscape photographer like me. I don’t agree fully on what you write about filters. A lot of effects can be created in post but not everything. A Neutral Density filter is a must in landscape photography. If you want to use very long shutter speeds to create movement a ND filter is needed in front of your lens. Great comment. On the button! I always call the tripod the third most important accessory after the camera and the lens. On your point about filters I agree. Some filters are essential for the well equipped photog. I personally use the polariser a lot, but you are right about the ND filters too.